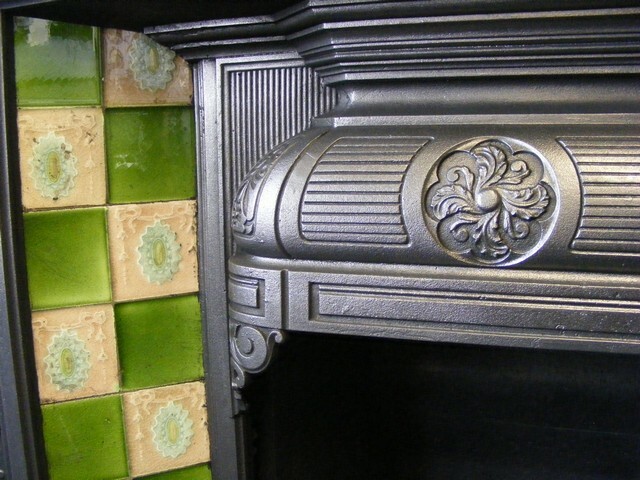 Victorian tiled fireplace (ATC-1398) A very pretty Victorian tiled combination fireplace adorned with classical embellishments, dated 1894 and including a good set of original geometric tiles. 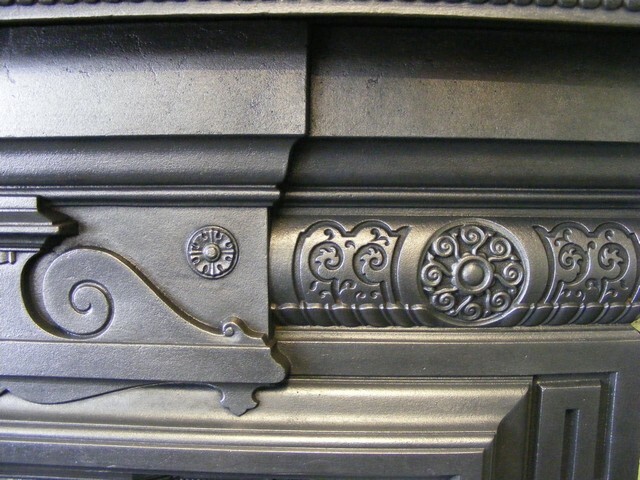 Fully restored and complete with a new fireback suitable for use as a gas or solid fuel fire. 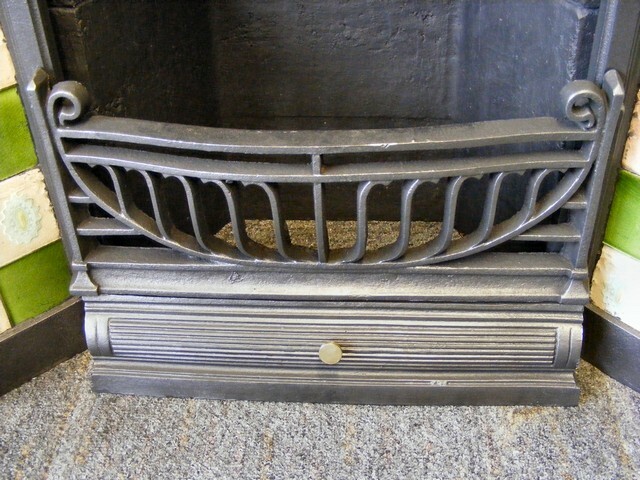 Measures 45.5”wide x 44”high with a 16” fire opening. 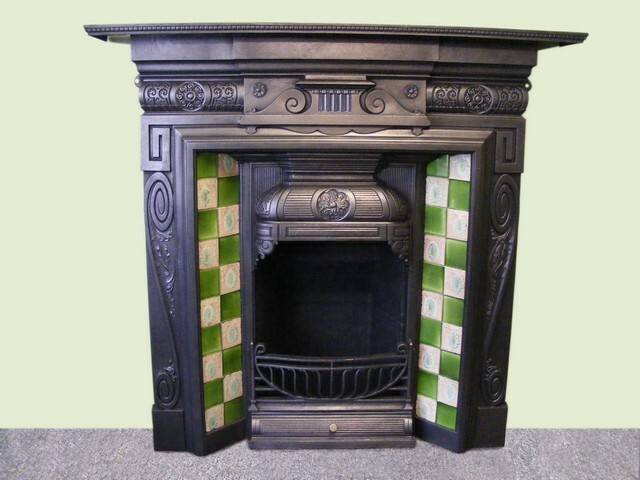 Priced at £950.00.